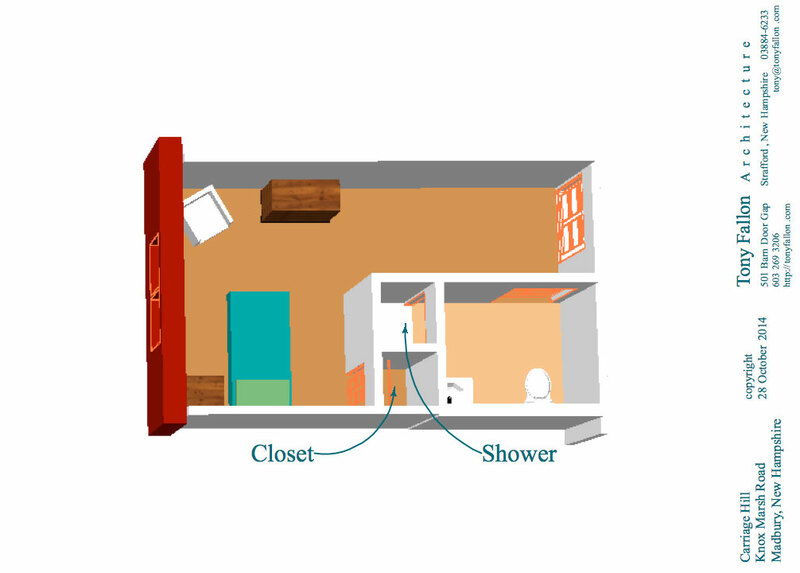 A private bedroom and bathroom with a walk-in shower, as well as access to all common rooms within the senior housing NH facility including two dining rooms (main and private), four sitting rooms (living room, library, game room and sunroom), laundry room, and terrace, as well as outdoor open spaces designated for resident use for walking, gardening, and relaxing. 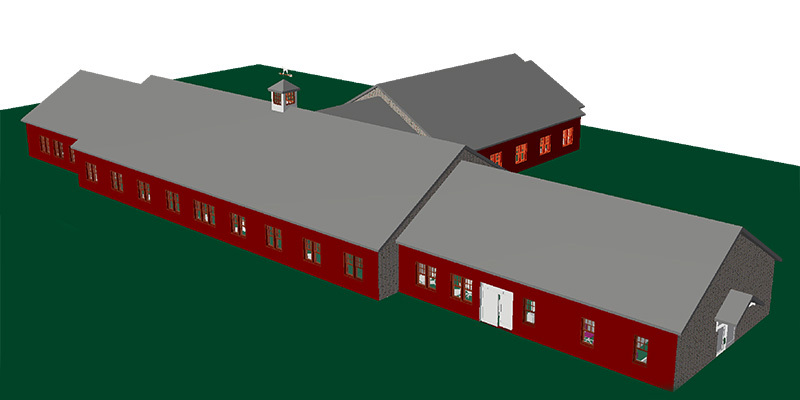 A rendering showing the Carriage Hill Assisted Living Facility. Architectural rendering by Tony Fallon Architecture. 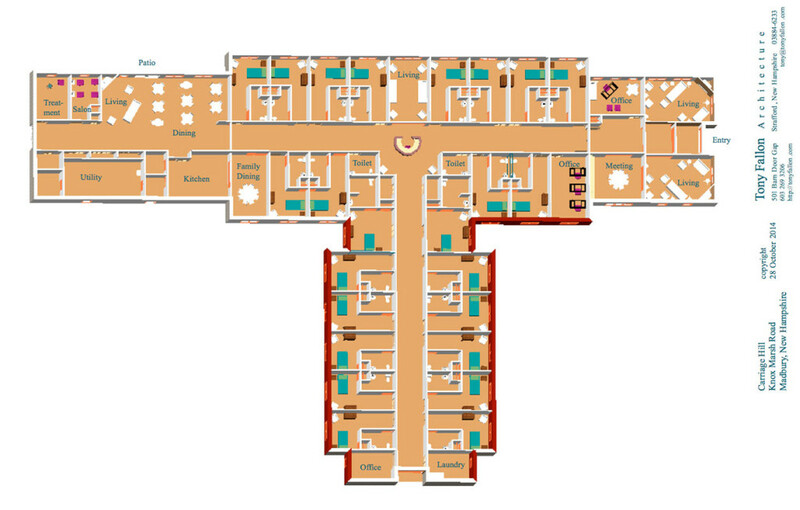 Carriage Hill Assisted Living NH Floor Plan. Architectural rendering by Tony Fallon Architecture. A rendering showing the front of the Carriage Hill Assisted Living Facility. Architectural rendering by Tony Fallon Architecture. Please note, these are preliminary architectural renderings.